Netflix will be continuing its push for original movies with the announcement of the upcoming midwestern gothic thriller The Devil All the Time featuring an incredible ensemble cast led by Marvel Cinematic Universe veterans Chris Evans (Avengers: Endgame) and Tom Holland (Spider-Man: Far From Home). In addition to the MCU veterans, the film’s cast includes Good Time‘s Robert Pattinson, Crimson Peak‘s Mia Wasikowska, Suspiria‘s Mia Goth and The Sinner‘s Tracy Letts, and is set to be produced by Randall Poster (Destroyer), Riva Marker (Wildlife) and Jake Gyllenhaal, marking his second upcoming collaboration with Netflix after the upcoming horror-thriller Velvet Buzzsaw, which will debut on February 1, and his third after having starred in the 2017 fantasy drama adventure Okja. RELATED: Buy Avengers: Infinity War now! Antonio Campos, whose last feature directorial effort was the critically-acclaimed 2016 biopic Christine, has only been behind the camera for the small screen for the past two years. He previously directed episode 8 of The Punisher as well as five episodes of the USA Network series The Sinner. Paulo Campos will be making his feature debut by helping script the project. 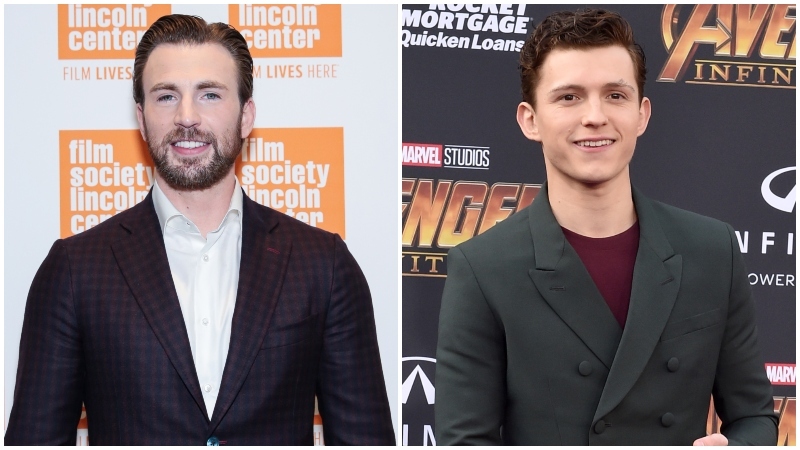 The post Chris Evans & Tom Holland to Star in The Devil All the Time for Netflix appeared first on ComingSoon.net.